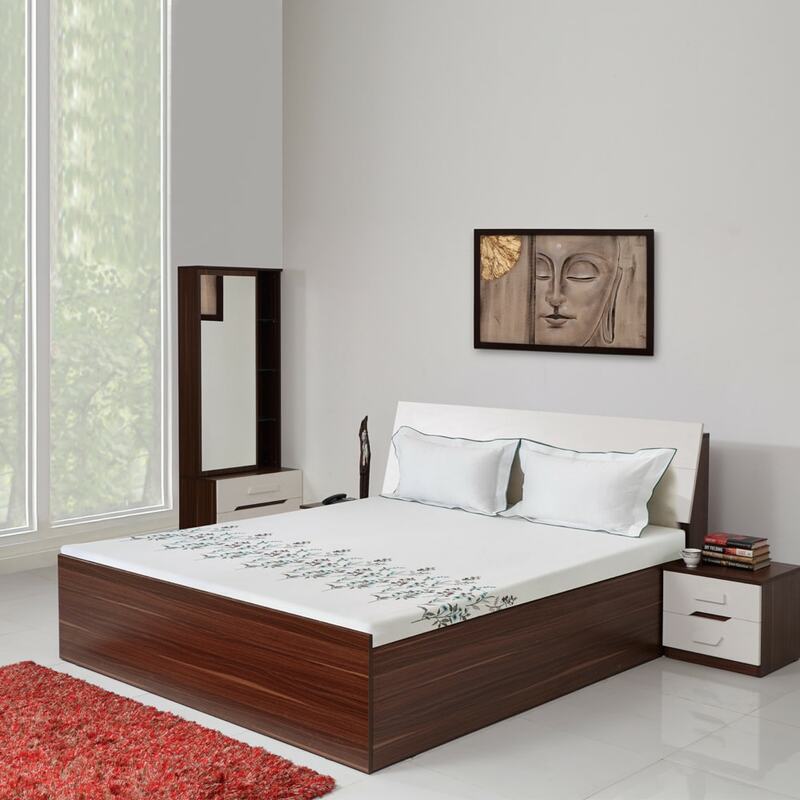 Transform your bedroom into your own private sanctuary with the Pristina Engineerwood King Bed. Chic and minimalistic, this piece adds an element of grace and serenity to any modern setting. The dual tone bed features thick compressed wood in a natural walnut shade and is finished with a frosty white pre-laminated board. The tapered headboard gives you the perfect space to rest against, and adds a touch of coziness. With a hydraulic lifting mechanism, the bed can easily be converted into a storage space by simply lifting the mattress and pulling the easy-to-grip handle. With its elegant appearance and practical application, this piece has excellent value for money. The bed is available online in both king size (180 x 200 cm) and queen size (150 x 200 cm). You can choose to buy this piece from our online furniture site, or visit any of our 25 furniture stores across India for the best deals in home furniture.